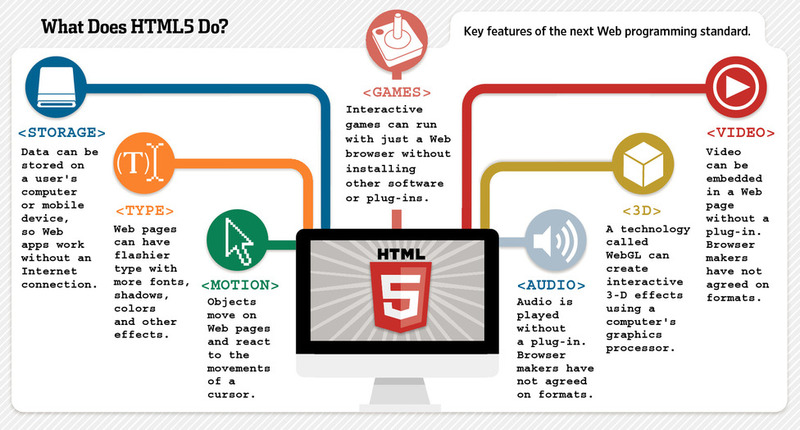 HTML5 is standard now, W3C has finalized the specifications. W3C recommendation raised the status of HTML5 to become an official standard. About 15 years after the release of the latest version of the HTML standard (4.01), the W3C Recommendation raised the status to the fifth version of the specification of the Hyper Text Markup Language, known to most as HTML5. HTML5 became a standard, on which is given a comprehensive guideline, issued as a result of the various draft update circulate in recent years has been published. Upon reaching this result, the staff of the W3C, the consortium in charge of the development and standardization of specifications used on the Web, has had to face not just a job, but a workload which is well supported by members of Tim Berners-Lee, Jeff Jaffe, Philippe Le HÃ©garet, along with Paul Cotton (Microsoft) and Sam Ruby (IBM). Unlike the previous editions of HTML, version 5 was not born within the W3C and this has complicated not just the work of the group. In fact, the history of HTML5 is protagonist of another development group called WHATWG, formed by a number of companies which introduces a version of the HTML language that is more in line with modern requirements of users, devices and developers . The spread of smartphones, the mobile browsing and app required a language suitable to support certain features such as touchscreen input, the use of proprietary APIs, interface between different application platforms, support for animations and so on. At the same time, in fact, the alternative proposed by W3C, namely the XHTML developed by the consortium, appeared incomplete and browsers slowly failing to render the entire pages. Serious deficiencies of XHTML have been fortunate for HTML5. The capabilities of this new language, was agreed by W3C and WHATWG group, they underwent an agreement to work together on new standards, although some features were still divide the operational approaches of the both. WHATWG was working on a document standardization live and constantly updated, while the W3C followed their classic validation method, which receives the HTML5 today inherited the certainty of a royalty-free license, which allows all developers use the language without incurring problems of patent infringement on the part of the companies that helped to develop it. HTML5 does not seem to be the only standard required for the Web according to W3C CEO Jeff Jaffee, there is still much work needed to be done, because the Web is actually a combination of different applications distributed over many different devices such as televisions, music players, books, cars and many others in the world. This Article Has Been Shared 825 Times! Cite this article as: Abhishek Ghosh, "HTML5 is Out of Beta and Became a Standard," in The Customize Windows, October 31, 2014, April 21, 2019, https://thecustomizewindows.com/2014/10/html5-beta-became-standard/.